Though the claim that baseball was invented by Abner Doubleday in 1839 has long since been debunked, MLB took part in what was the first league-wide and yearlong celebration of baseball with this patch adorning the sleeves of players. The exact patch was later modified to feature a less Joe DiMaggio-looking player. I highly recommend this article written by baseball historian and designer extraordinaire Todd Radom if you’d like to learn more about the first centennial celebration. Major League Baseball would celebrate *their* centennial in 1969 with this simple Jerry Dior patch sewn onto the player’s sleeve. Four teams would enter the MLB with such a patch adorning their first uniforms: the Montreal Expos, Kansas City Royals, Seattle Pilots, and our San Diego Padres. Though the 1994 season is probably more memorable for being cut short due to labor strife within MLB and the MLBPA, 1994 marked the league’s quasquicentennial with not just a sleeve patch but an added pin to go over the rear Batterman logo of player’s caps. This anniversary marked the first that included a detail on the cap alongside the jersey. 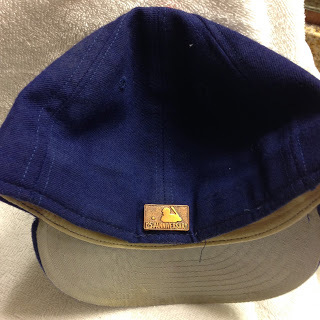 Period-correct caps are considered collectible among those in the hat collecting community looking to add the above pin to the corresponding cap. 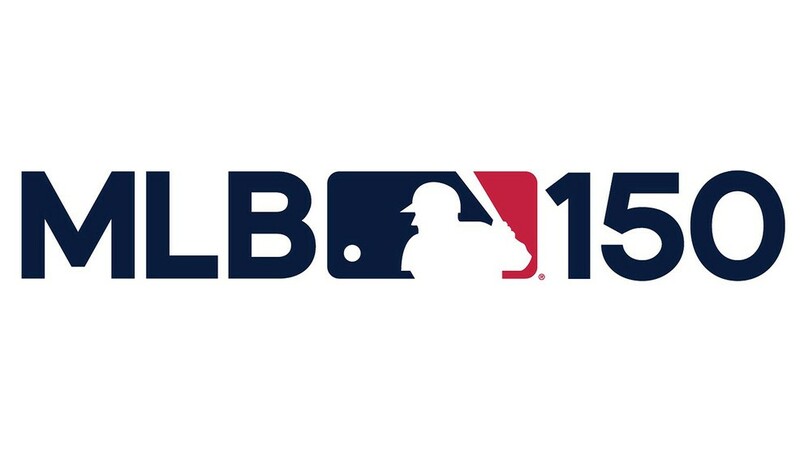 This season MLB will celebrate their 150th anniversary with a relatively understated logo and patch set. The patch will appear on the lower sleeves of every jersey (save for the Reds, who are rocking their own far superior patch design) and on the on-field caps for Opening Day only. The cap detail will disappear after Opening Day while the sleeve patch will remain throughout the season. We’ll have to stay tuned another 25 years to see what the league will roll out for their 175th anniversary. I wonder what the game will look like then?